Welcome to Ragdoll Fanciers Club. RFC is the Ragdoll Breed Club for the Cat Fanciers’ Federation. We have several types of membership. The cost is minimal and will be well worth your money. 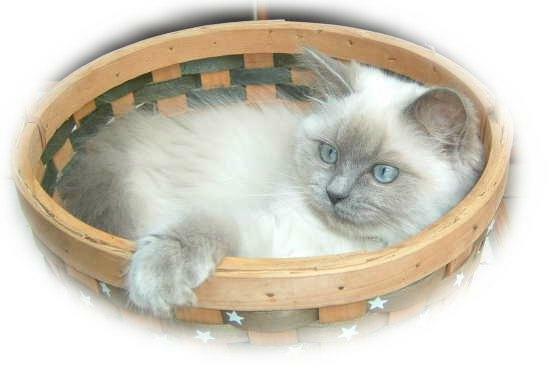 Our goal is to have people share and learn more about the Ragdoll breed. We offer the site, a newsletter and a chat group for our members. The RFC offers three types of Membership: Breeder, Exhibitor, and Fancier. Breeders; Must own one breeding pair of Ragdolls registered in CFF and have their Cattery registered in CFF. Fanciers; need only have an interest in the Ragdoll breed. Breeders: New Breeders will be under provisional status for one year and will have a sponsor from the Club during which time they will follow the rules of RFC & CFF. After the year, if there are no exceptions, they will be granted full status with the approval of their sponsor. Not following the CFF / RFC rules after the probation period could result in dismissal. Breeders are $ 20.00 $10.00 additional breeder member. Exhibitors: $15.00 $5.00 additional exhibitor member. Newsletter: All members receive the quarterly newsletter, by-laws and constitution and a list of current members as part of their membership package. RFC has two chat groups. One is for RFC and CFF business discussions. The other is our Pet Chat Group where members can share stories about their Ragdolls, learn more about Ragdolls, ask questions and just chat with others who love the breed! Website: All members may have a photo listed on the website and a link to their home pages if they have one. Breeders may list available kittens and retired show/breeder cats on our website. Breeders are also asked that they include information about RFC and an RFC membership application in their kitten packets to help promote the club. If you would like to join the RFC, please fill out and sign the following page. Signing the application will constitute your acceptance of the RFC & CFF standards and acknowledge you have read this page. Thank you and Welcome to our Club. Note: CFF only accepts pointed Ragdolls with a pedigree that has ONLY pointed to pointed Ragdolls for a minimum of 4 generations. Please feel free to browse our site and if you have any suggestions for improvements PLEASE feel free to share them with us. Website, all content Copyright © 2007-2019. Photos Copyright © to the respective photographers.